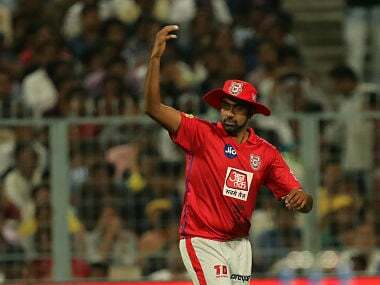 Delhi Daredevils ((DD) lost to Rajasthan Royals (RR) by 10 runs (DLS method) to suffer their second loss of the season, having lost to Kings XI Punjab (KXIP) in their opening game. 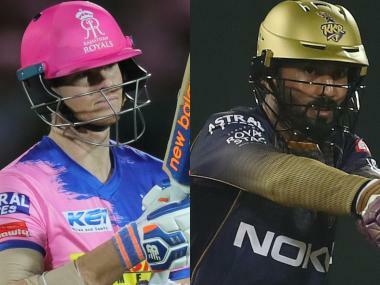 The 11th edition of the Indian Premier League (IPL) will be into its seventh game when Sunrisers Hyderabad (SRH) host Mumbai Indians at the Rajiv Gandhi International Stadium. The tournament already has opened up a bag of surprises, with sides such as Chennai Super Kings (CSK) pulling off one heist another another. And yet, some things hardly seem to have changed this year. The turnouts at the venues being one. Delhi Daredevils' rotten luck the other. 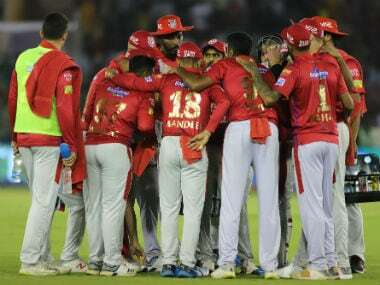 A game in which they certainly showed more intent than what they had against Kings XI Punjab (KXIP) earlier, the Daredevils would somewhat feel hard done by after failing to chase down 71 off six overs in a game that suffered an interruption close to two hours due to rain. Gautam Gambhir, who leads the team that represents his hometown, is already starting to show signs of mental strain, one that many a predecessor of his would be able to relate to. Delhi did not take long to create trouble for the hosts after opting to field first — Gambhir's decision being influenced by the spell of rain before the start of play that would've made conditions a lot more ideal for the bowlers to work with. Opening pair D'Arcy Short and captain Ajinkya Rahane got involved in a run-out for the second consecutive time, with the Australian explosive batsman walking back yet again without making an impact. New Zealand pacer Trent Boult's utility in conditions like these was on display when he squared up the Rs 12.5 crore-buy Ben Stokes, getting him caught behind for 16. With the score reading 28/2, and two dangerous batsmen back in the dugout, there finally seemed to be light for Delhi at the end of the tunnel. Things, however, didn't turn out to be rosy for Daredevils with Rahane and young Sanju Samson out at the centre. The latter turned the tide with a couple of lusty blows that helped the Royals regain their confidence. The duo stitched a match-defining partnership worth 62 (off just 41 balls) that helped bring the run-rate up and put the pressure right back on the bowlers, especially the pace attack. Even though Rahane was sent back to the pavilion not long after Samson, the foundation had been laid for Royals to build a formidable total in excess of 180, the pursuit of which was aided by Jos Buttler's clean hitting, but was ultimately impeded by another spell of rain. Royals couldn't bat their full quota of overs, with their innings coming to an end at 153/5 after 17.5 overs. After a couple of hours' worth of wait, with the threat of the tournament witnessing its first 'No Result' looking quite possible at one point, Delhi were set a challenging revised target, one that would require them to score 71 off just six overs. With their purchase of power-hitting all-rounder Glenn Maxwell for a massive sum of Rs 9 crore, the Delhi leadership would've been waiting eagerly to see the Australian's chemistry with the likes of Colin Munro, Chris Morris, Rishabh Pant aside from Gambhir. Maxwell, had missed out on DD's opening game against his former franchise KXIP as he was the best man at Australian teammate Aaron Finch's wedding. 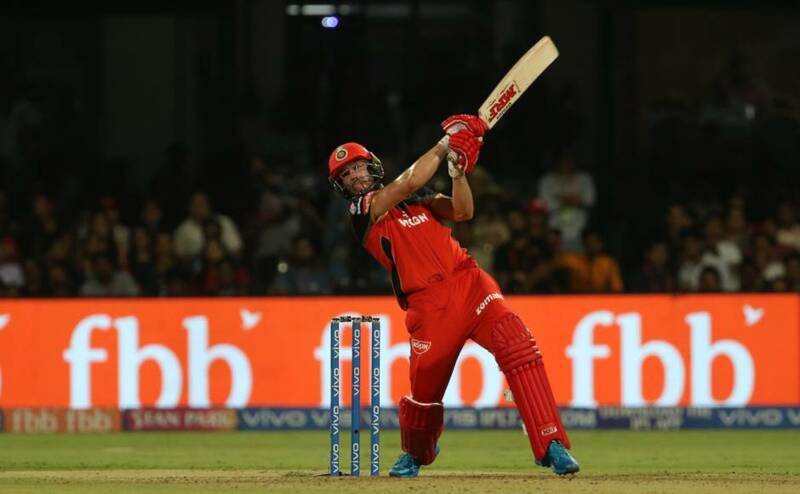 Even though he was excited to get some game-time after landing in India, as his social media posts would indicate, the number of times he failed to connect while opening the batting for the Daredevils would perhaps be a sign of his lack of match-readiness. Maxwell's situation was further compounded by the early run-out of Black Caps opener Colin Munro for a diamond duck, leaving a lot more responsibility on his shoulders. A meagre 15 runs were collected off the first two overs at a time when the Daredevils needed to score at nearly 12 an over, with Dhawal Kulkarni giving away just five off the second. Even though Maxwell did connect on a couple of his golf-like swings, the pressure eventually got the better of him, and it took a clever slower ball from Ben Laughlin to get rid of him. Pant, who has fallen a couple of places in the limited-overs pecking order in recent months, would've eyed this as a perfect opportunity to not only impress his captain, but to send a strong message to the national selectors as well. All he ended up doing, though, was last another four deliveries — hitting a boundary off one and getting caught off a mis-hit off the fourth. Another chance wasted by the talented young batsman. With 25 needed off the last over, DD needed South African all-rounder Morris to clear the ropes off every ball. Instead, he was was off strike after facing his first ball of the over, getting pinged on the helmet by a snorter from Laughlin. 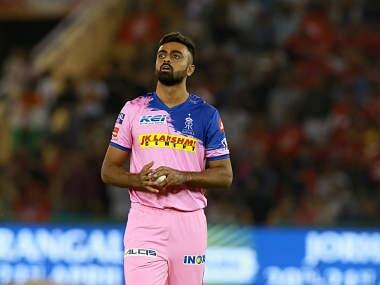 And with Shankar's dismissal off the fourth delivery, things were pretty much done and dusted at the Sawai Man Singh Stadium, which welcomed the Royals back after a three-year gap with a rain-marred victory. "We were very much happy with the first innings. But then in six overs, 71 was tough. We had to go from ball one. Obviously with these sort of games, things could go either way. Just two overs of powerplay, it's very difficult," rued captain Gambhir after the loss, adding that they would've been a lot more competitive had the match witnessed its full quota of 40 overs being bowled out. Sure there were a few positives for the Daredevils to take away from the performance. Morris seems to have carried over his big-hitting form from the limited-overs fixtures against India back home. 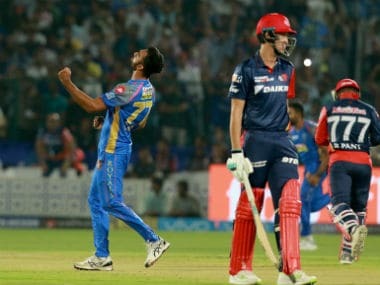 Shahbaz Nadeem produced a valuable spell that directly resulted in the departure of both Samson and Rahane off successive overs, once again highlighting how underrated a spinner he is, especially in this format. 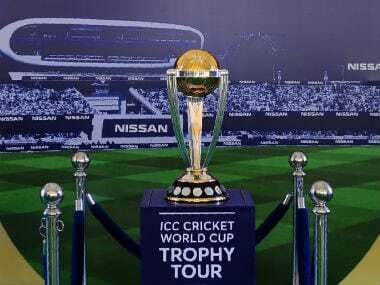 Delhi however, still have a lot to work on as far as capitalising on breakthroughs, and more importantly, showing determination under pressure is concerned. Skipper Gambhir, who is credited with leading a turnaround in KKR in his stint as captain, has a lot to do in this regard, especially with his team finding themselves at the bottom of the table early in the season with back-to-back losses. Last, but certainly not the least, DD could do with a little more luck.